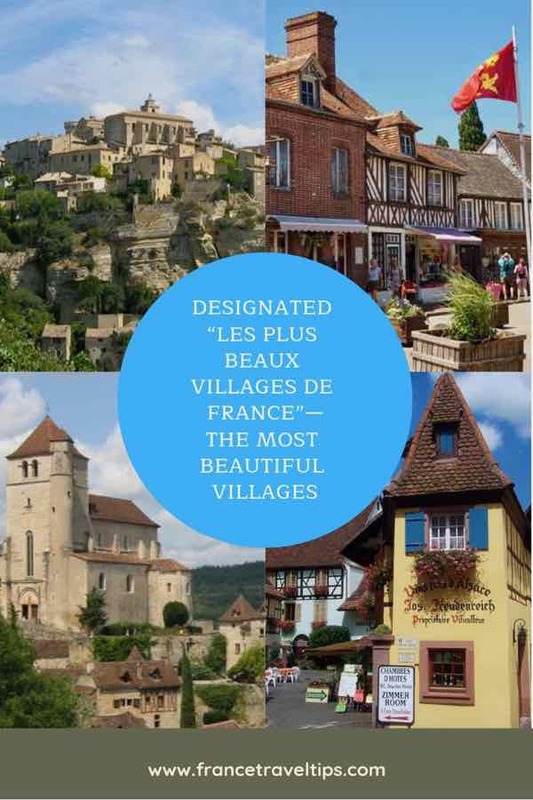 Where are the designated “Les Plus Beaux Villages de France”? And how many have you visited? 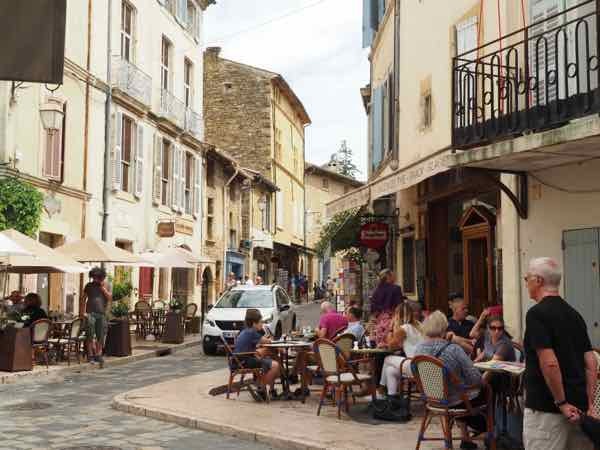 While Paris, Bordeaux, and Lyon are grand and have much to see, many visitors to France often overlook the small villages. Although France has over 32,000 villages, only 158 have been given the prestigious designation of being one of the MOST beautiful villages of France. In 1982, the French government created the list to promote the small and picturesque French villages of quality heritage. When I first wrote about the list back in the Fall of 2016, I had only visited 17 of Les Plus Beaux Villages de France. Since then I have visited more and am up to 24. Initially, I thought many more villages that I had visited would be on the list. I mean, I’ve been to so many beautiful towns in France during my 32 trips. Surely many of those were on the list! Surprisingly, no. Will I visit them all? Who knows, but I’ll certainly have fun trying. [Note: the number who have been designated “the most beautiful villages of France” keep changing as more villages are added. The “158” is the number published by the organization; however, I counted at least 160]. Take a look at some of the villages I’ve visited and I think you’ll agree, they deserve the recognition and they are worth visiting. 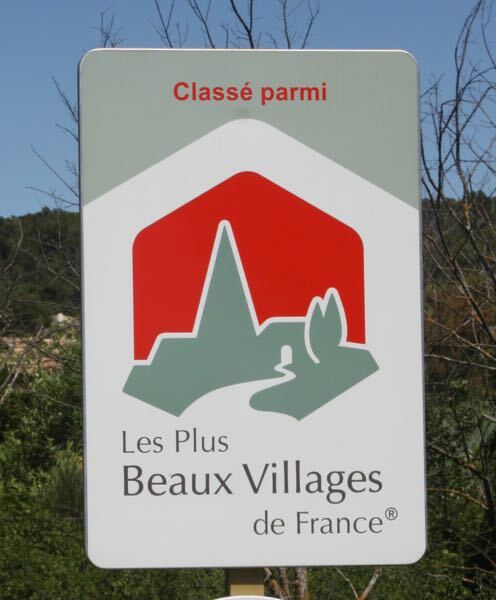 To be designated one of the “Plus Beaux Villages de France”, communes must submit an application form, have an on-site evaluation, and meet certain criteria. the application must have mass support from the town council. 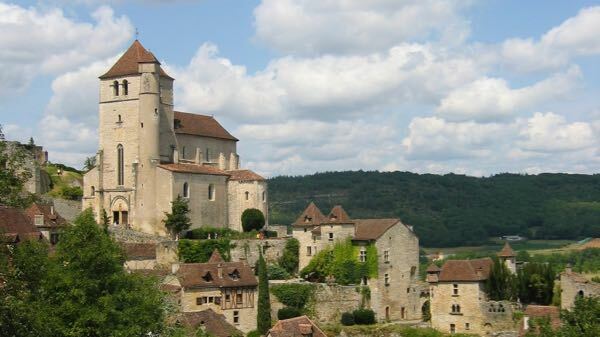 When I was heading to Lyon from Switzerland, I had read that Pérouges was on the list of Les Plus Beaux Villages de France, so I had to drop in. After going through the fortress gates, I came upon many shops with local crafts and foods. Pérouges was built in the 12th century and has retained the medieval atmosphere (and towers) and it is known for its medieval festivals. Yvoire is another medieval town (700 years old) located between Geneva and Evian. If anything stands out in my mind it’s all the flowers and not surprisingly, one of the attractions is the “Garden of Five Senses”. 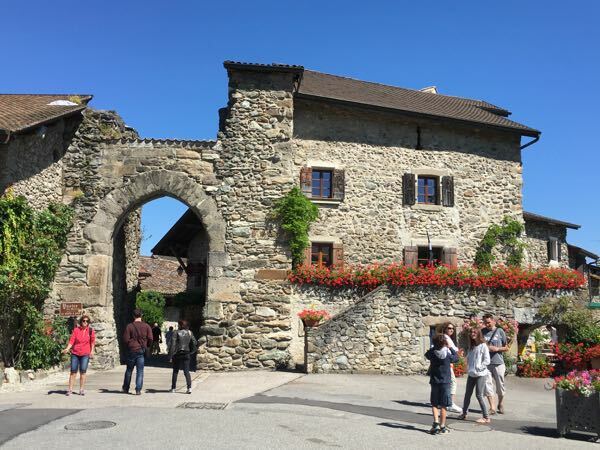 Walking through this town, over the narrow cobblestone paths and ramparts and through the fortress gates, you are provided with stunning views of Lake Geneva. 18 km north of Vallon Pont d’Arc [https://www.francetraveltips.com/discover-pont-darc-by-kayak/] in the Ardèche and 9 km south of Vogüe stands Balazuc, a medieval village that seems to be built into the rocks on the cliffs. The 11th century château is now a hotel. At the end of the town there is a bridge that crosses the Ardèche River where you can get excellent views. I feel most people with think of ochre when you mention Roussillon. The ochre pigments in this area are orange and were used in the 18th and 19th century for textiles and paints. 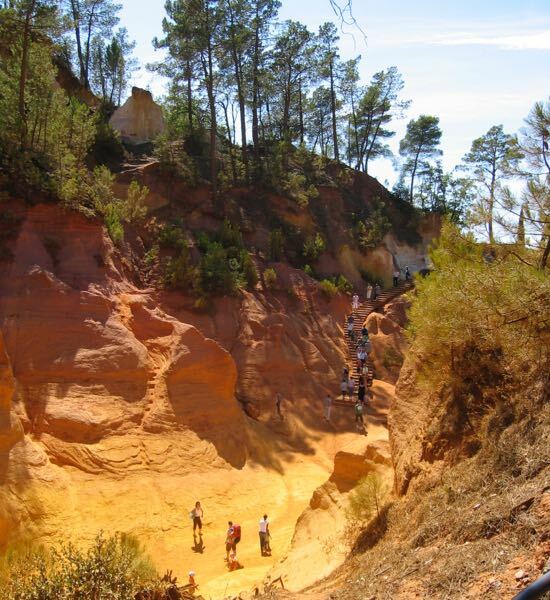 Today one can visit the “Sentier des Ocres” (Ochre Path) for a fee. 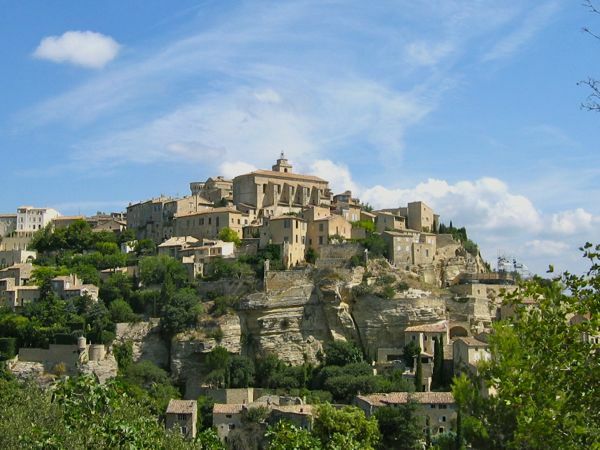 I have a fondness for Gordes because it was the first town (outside of Paris) that I had ever stayed as a young person. 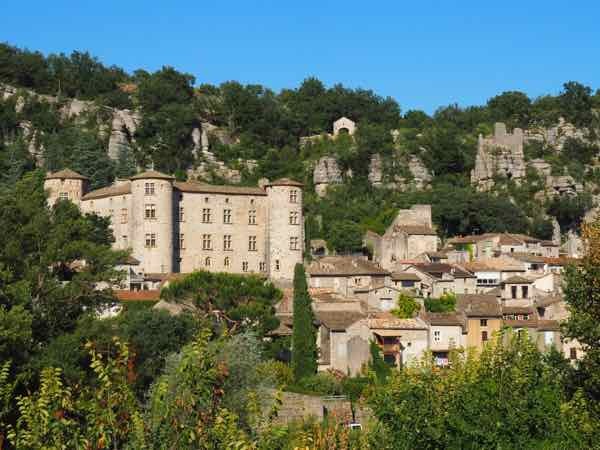 While significant development (and money) have been invested in the village, making it an expensive place to stay, I still consider it to be the Most Beautiful Hilltop Village in Provence. Lourmarin is the town that writer Peter Maybe finally decided to live in after being hounded by tourists in Menerbes. 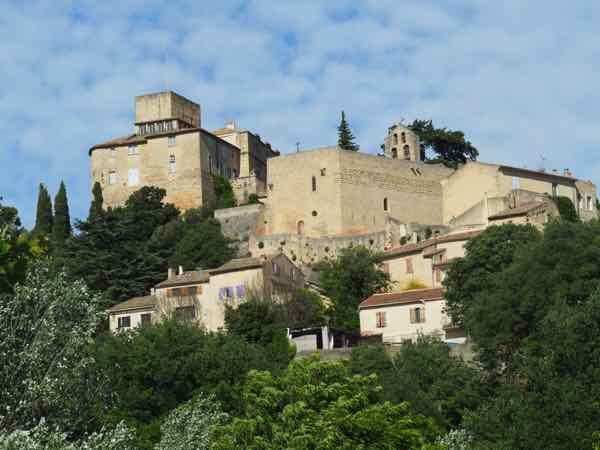 It might be considered a high-priced village as there are many art galleries and (expensive) shops, but the architecture and Château de Lourmarin continue to make it a very popular place to visit in the Vaucluse. 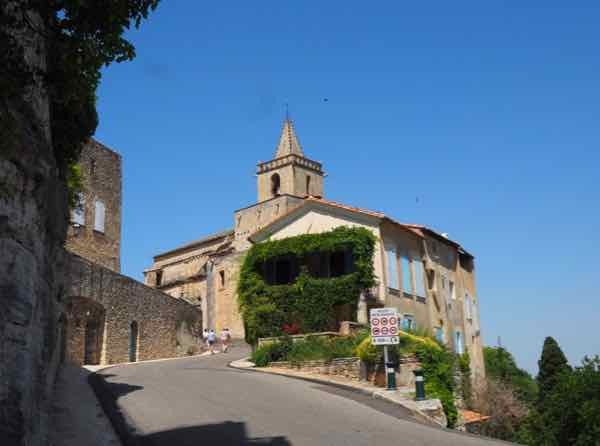 The village of Menerbes sits on a hill overlooking the Luberon countryside. 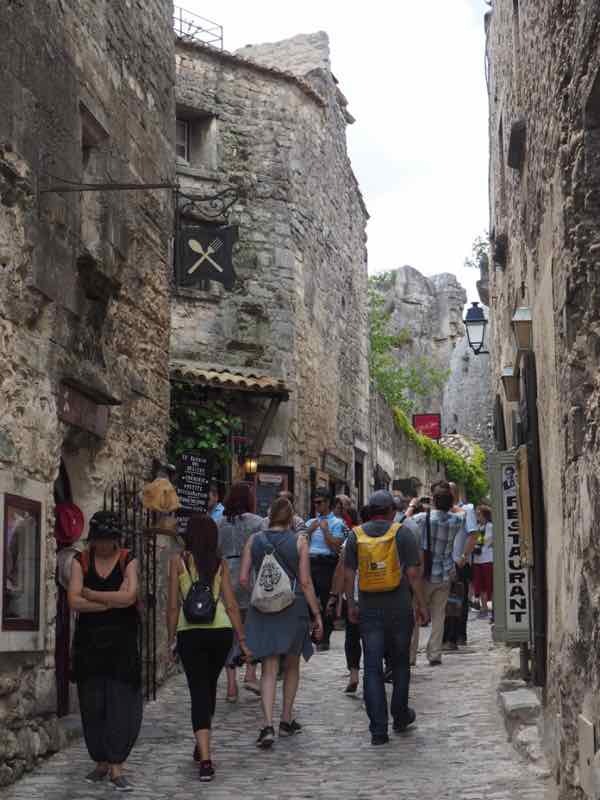 It is similar to Gordes as there are many winding cobblestone paths so it’s fun just explore the town and head upwards to the Maison de la Truffe et du Vin (Truffle and Wine). 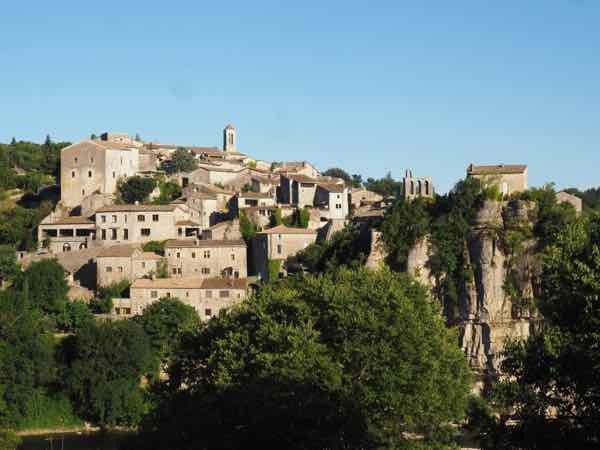 After having visited Lourmarin, I headed 10 km east to the very sleepy town of Ansouis. I was there on a Tuesday afternoon in June and I only bumped into two people. I came upon a closed art studio and Chateau d’Ansouis which has a collection of tapestries from the 17th and 18th century. The town does have a number of boutiques and art galleries but I guess I’ll have to visit again when things are open. Here is another village perched high on a hill. I came upon Venasque during a drive between the Abbey de Senanque and Bonnieux. The three Saracen towers of Venasque’s original fortress still remain as well as the chapel of Saint-Siffrein, which is a very old religious site known for its baptistry. Mittelbergheim is surrounded by vineyards which produce excellent Alsatian wine. The last weekend in July is their Fête du Vin which not only celebrates wine but also local culture. 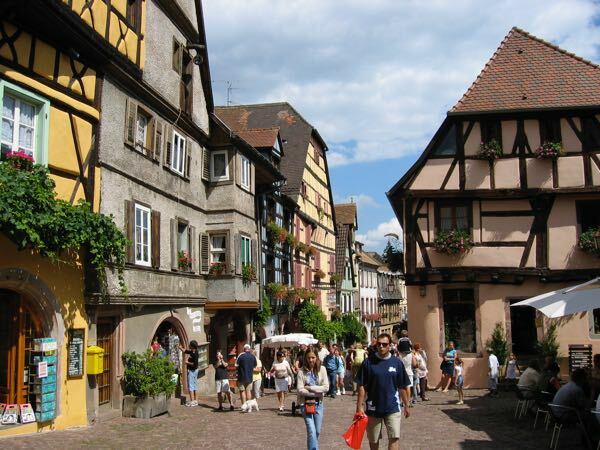 Eguisheim has the added distinction of being the winner of the Favourite Village Of The French in 2013. 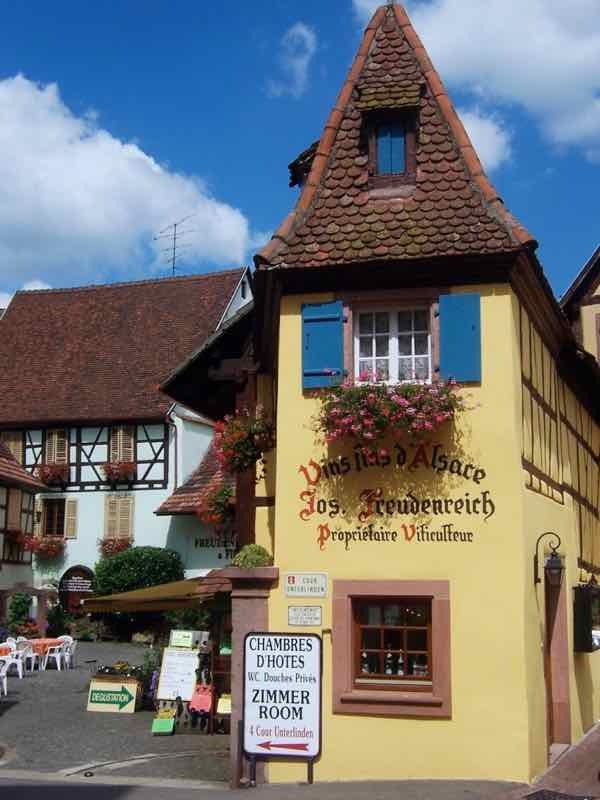 A visit is not complete without a tasting at one of the famous Alsatian wineries. I had (and purchased) some lovely wines at Leon Beyer but what I most enjoyed was walking through the old town. Like Eguisheim, Riquewihr has an old town with lots of half-timbered buildings, cobbled streets, and another famous winery, Hugel et Fils. 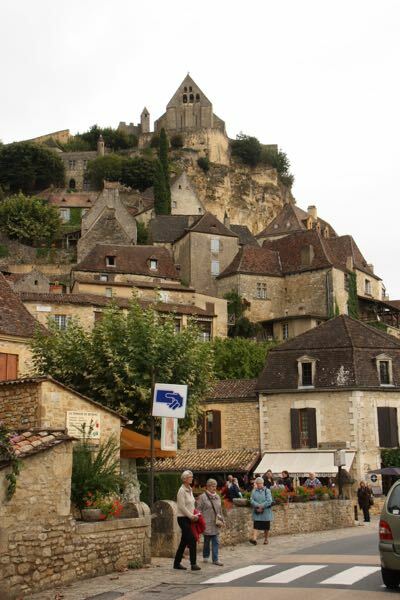 As you drive toward La Roque-Gageac, the hilltop town certainly impresses. 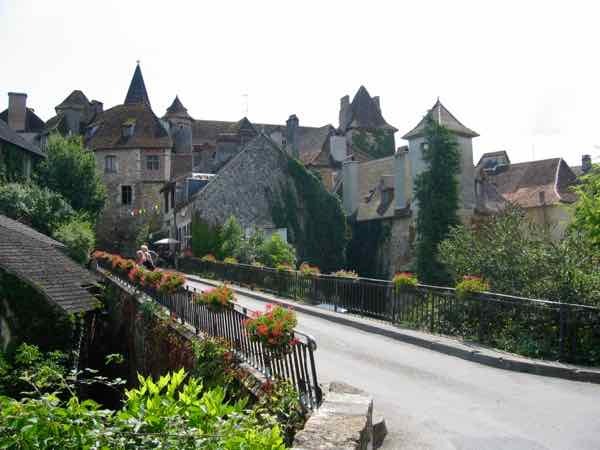 When you wander throughout the town, don’t miss the walkway which provides excellent views of the Dordogne River. Château de Beynac is an imposing site at the top of Beynac-et-Cazenac and was in the perfect position for a fortress in the 12th century. 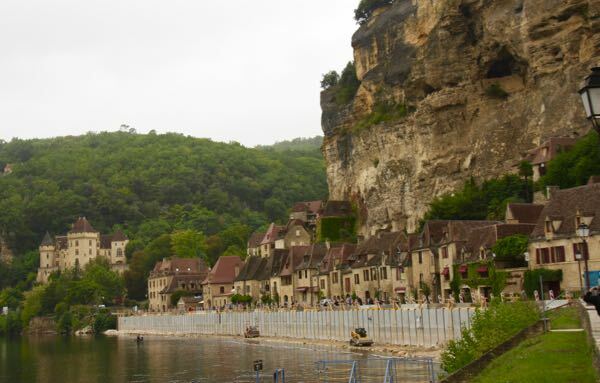 Along with La Roque-Gageac, it is a popular place to rent kayaks as the village is on the banks of the Dordogne River. This photo is probably my favourite of all the Plus Beaux Villages. 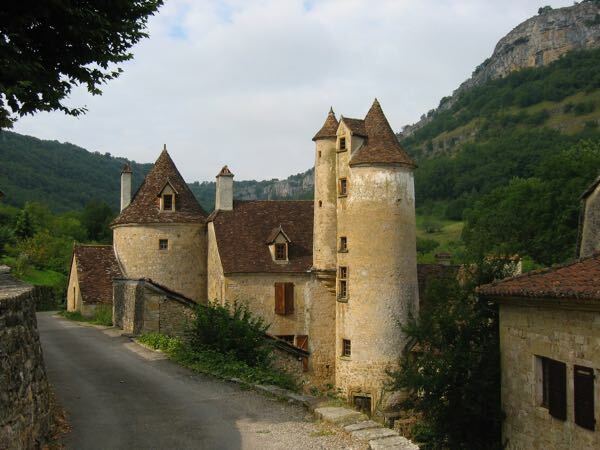 Saint-Cirq-Lapopie is a medieval village overlooking the Lot River and it is extremely popular. Just look at it! According to the Lot tourism board, the town has 13 historic monuments. But as a result, it is over run with tourists so if you want to visit, get there early or late in the day. I subscribe to National Geographic Traveler Magazine and they often feature parts of France that are not always well known. When I saw a picture of Autoire, I had to visit the town and take a photo just like in the magazine. 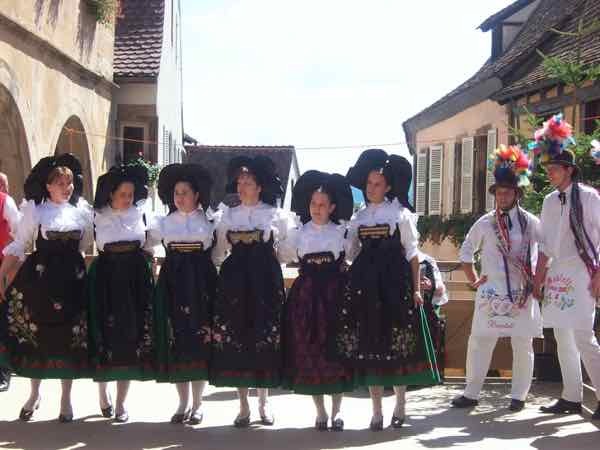 It is located right near the Dordogne border and is 68 km east of Sarlat. This is another town highlighted by National Geographic Traveler Magazine and I had to see it. It was a bit busier than Autoire and there were a few restaurants open. 11th and 12-century structures have remained including the Church of St Pierre which is the focal point of the center’s courtyard. 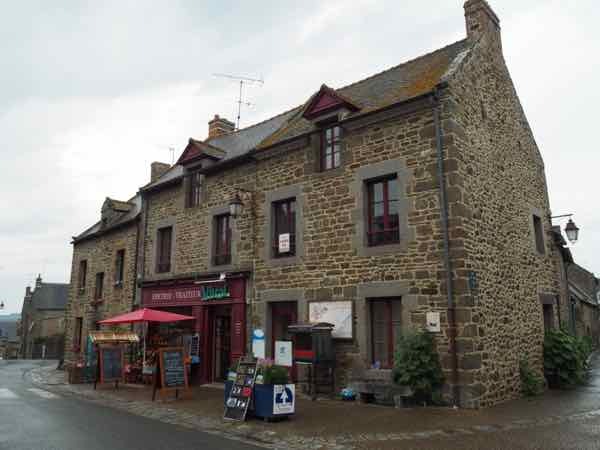 Located south of St. Malo, Saint-Suliac slopes down towards the Rance River and on a cloudy day in late May it was pretty empty. If you do visit, try to go on a sunny, warm day. It will be even more attractive than it already is. In 2016 Rochefort-en-Terre gained another accolade: Favourite Village Of The French and it’s understandable why. It really is a beautiful village and I quite liked visiting the “main strip”—- lots of shops with local products, a tourist office, and restaurants, The Parc du Chateau de Rochefort-en-Terre wasn’t open but the grounds were lovely to walk through. What I most remember about his town is ending our day’s bike ride heading up a steep incline to the town which sits high on a hill. Unfortunately, my friend’s bike chain seized and she fell off her bike. Fortunately, she wasn’t hurt. After dinner, we went for a walk through the town that has the fortress, Château de Châteauneuf, which overlooks the Côte d’Or region. 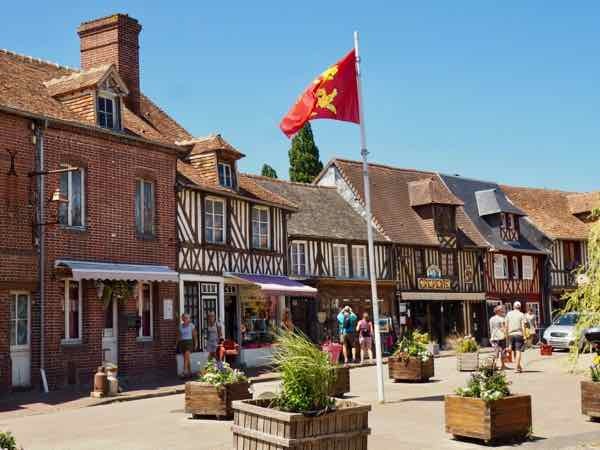 Half-timbered buildings populate this very pretty and quiet village that is located 30 km east of Caen. The main attraction is certainly the main square and street. Aiguèze is very close to the Ardèche border and is considered to be the entrance to the Ardèche Gorges. I had a lovely lunch at Restaurant La Bouchon and afterward walked among the ruins of the 12th-century chateau. 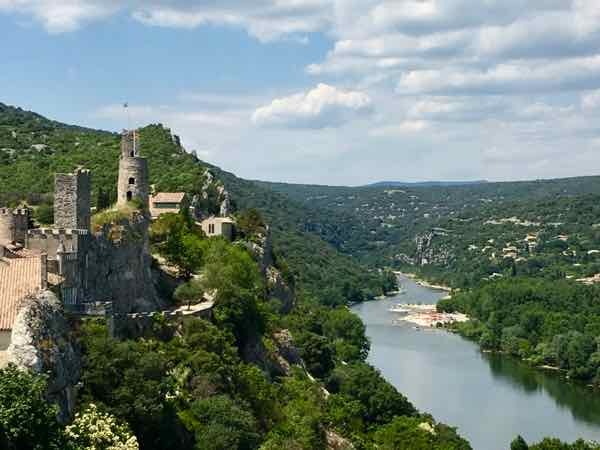 From the fortress, you can look down upon the Ardèche River and get panoramic views of the area. So, yes, I NEED to go back and conquer the remaining 134 towns. I have a lot of work to do. Which of the 158 have you been to? I would be thrilled to see any of these beautiful French villages. I’m glad there’s so many….makes my travel planning easier! No failure here! 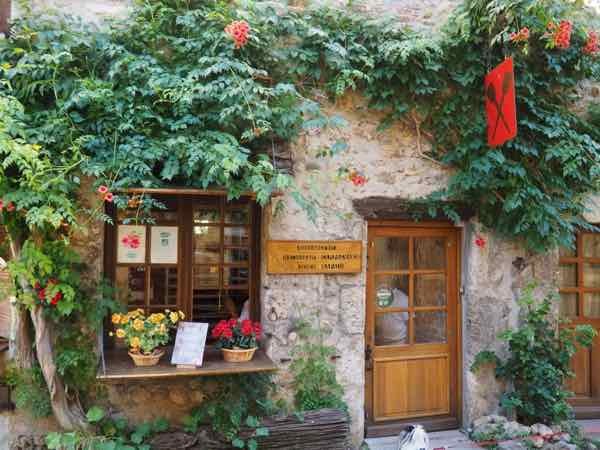 To have visited 17 of these dreamy little places in France is quite an accomplishment. It’s a good quest to have, too, I think — to return and visit more. Starting November 15th, Conrad and I are house sitting for a month in the village of Lurcey-Levis. (I looked it up and unfortunately it’s not on the list of 155.) But nevertheless, we will have the great opportunity to venture out over the course of the month and poke around in many tiny, dreamy villages. I’ll keep the link to the list of 155! Lucky you! Hopefully there will be a village or two near by to visit. 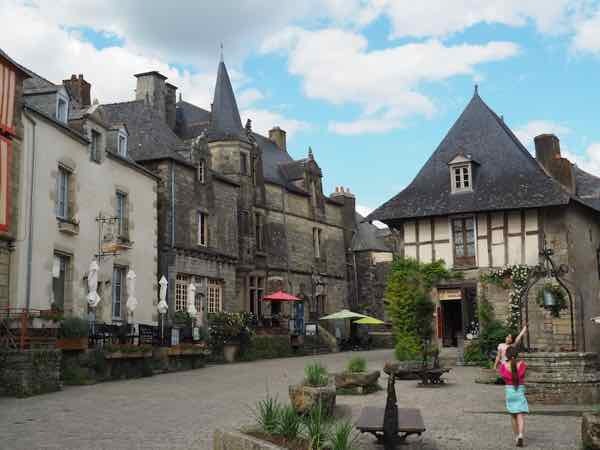 Oh gosh – these villages of France are beautiful! 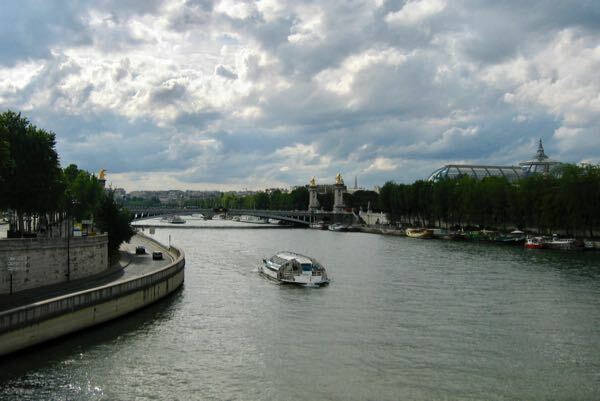 It’s interesting: as a Brit, I really haven’t spent much time exploring France, preferring to go further afield. I will have to remedy that as soon as possible. What a sweet quest. I have done a little roadtripping around the France countryside so I may have driven through or visited some of the villages. Not on purpose, though. Those are fun trips too! I read through the list and only one of these little villages sounded familiar to me. How do you remember the names of all these little places? It would be great fun, though, to make that a goal of a nice long driving trip around France: to visit all of them! Thank goodness I’ve kept every one of my journals from my trips to France. My pictures have helped me remember too! Oh my I’m sorry to say I haven’t visited any of these wonderful villages and hope to do so in the future, fantastic post! I wish you a long and healthy life so you can get to all the beautiful French villages. Too funny! I’m going to need all the time I can get! I think you’re off to a great start Jan! I feel like I’ve been all over France and yet I couldn’t find any that sounded familiar to me. Guess I need to get the map out and start planning another trip! For sure. I still have a lot of work (and trips) to do! Wonderful photos! Just keep checking those beautiful villages off the list on by one. Thank you. I know. Lots to see! Now I feel like a total failure! I’ve never been to any of the designated villages. but I was in the countryside around Gordes, if that counts. 🙂 I must correct this situation and I better get started soon! Lovely round up you’ve given us here. Well of all places to be near, Gordes is one of the best! I’ve been to a few of the most beautiful villages over the years. My favourite is Montresor, in the Loire Valley. It has a beautiful castle and pond, and is close to many chateaux and other interesting sites around the Loire Valley. 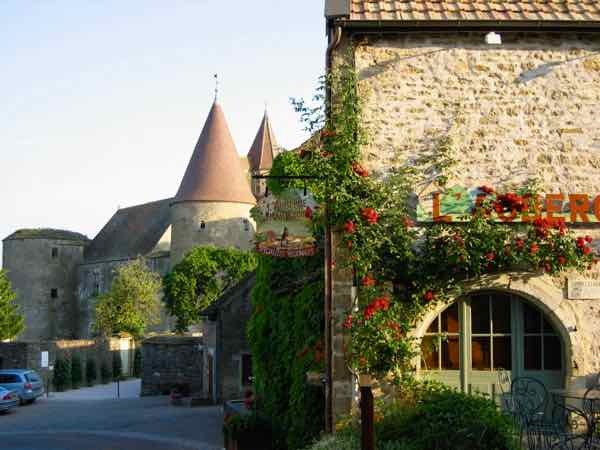 The best part for us was staying ( on two separate trips) in a Gites de France called Le Moulin de Montresor. It’s a converted mill that’s now a beautiful B and B – even has a swimming pool. There is a hole cut in the floor of the living area and covered with Plexiglas where you can watch the water rush over the wheels of the mill. Beautiful spot. Thanks for sharing! I’ll try to visit it in my next trip! Wow you’re so lucky to have visited so many of these beautiful places! Last year we went for the first time in Hunspach (Bas-Rhin) and Bonneval-sur-Arc (Savoie). 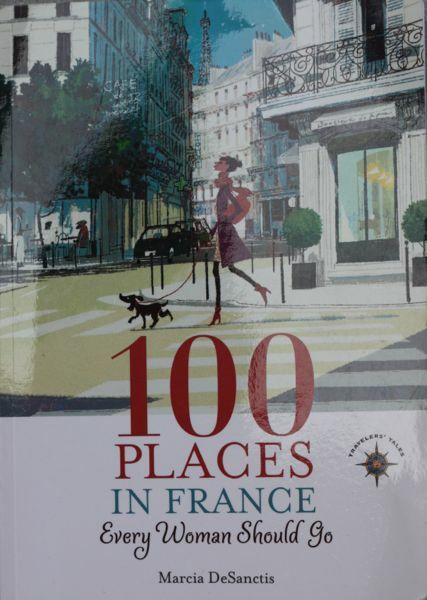 This year I’m hoping to discover Rodemack (Moselle), Châteauneuf-en-Auxois (Côte d’Or) and Pérouges (Ain) ! 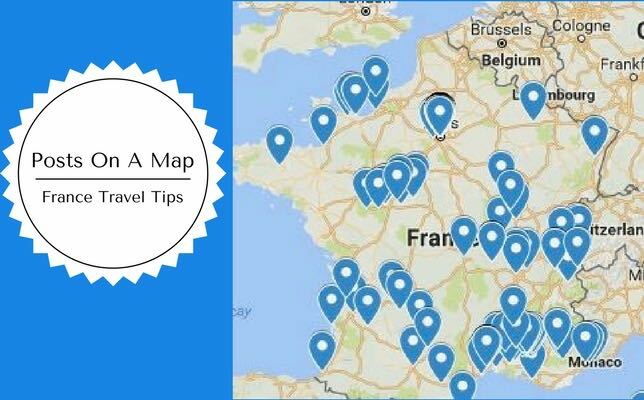 I am a Francophile as you are so I LOVE reading your posts……and every time my hubby and I travel to France we use the lists of these villages to plan our driving route from place to place. What a treat! I think Gerberoy is maybe my very favorite because it was SO BEAUTIFUL that day we drove into its streets….like a sleepy little postcard. It was gorgeous. We ate an apple strudel in a sidewalk cafe in Beuvron-En-Auge one May afternoon and that was a special afternoon. 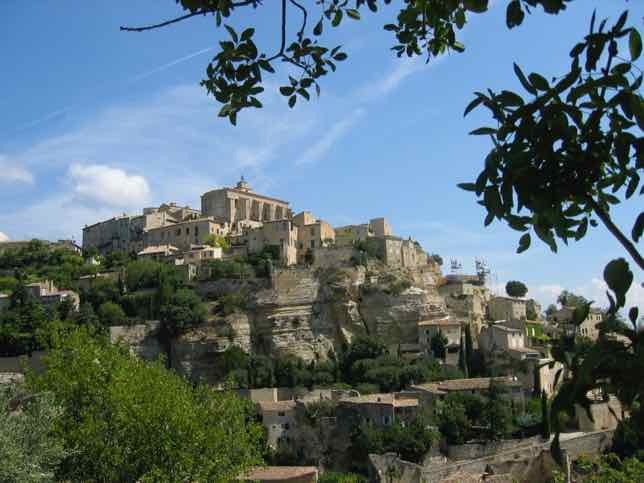 We fell in love with Gordes and bought an oil painting from there and stayed there on our last trip to France. 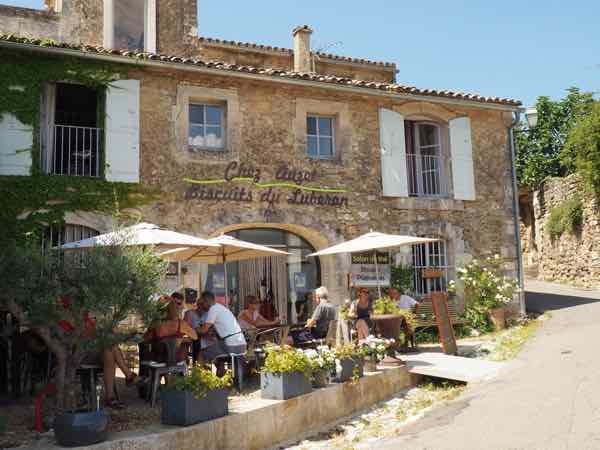 We also took a Sunday afternoon to drive to Lourmarin last spring which will always be a delightful memory for me……I LOVE THESE VILLAGES!!!! Thank you for sharing your favourites. I had to look up Gerberoy and I see I could have visited on my way to/from Etretat. I’ll definitely have to check it out. Yes, the villages are so much more quaint (overused word, but really applicable).